to you, it's a curriculum-linked head start for the child you love! Our biggest and best super science box. Pay as you go for £19.95 per month or grab a great prepay deal with prices from £16.66 per month. 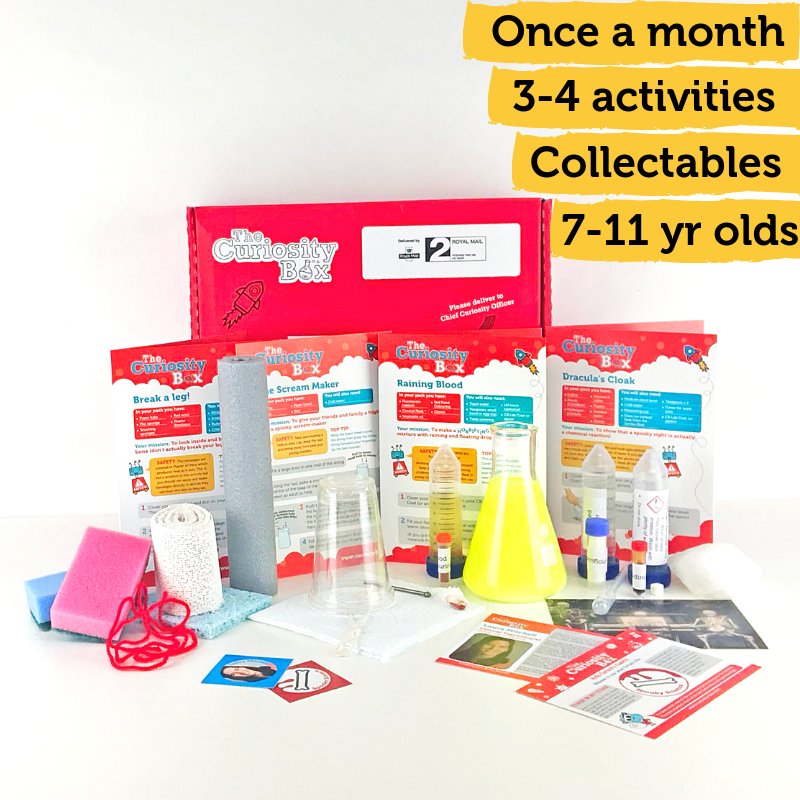 The Jumbo Box gives you hours of hands-on science and engineering for 7-11 year olds, delivered monthly! International postage applies outside UK. Pay as you go for £11.95 per month or choose one of our prepay offers to grab your Nano from £10.83/month, inc. UK p&p. 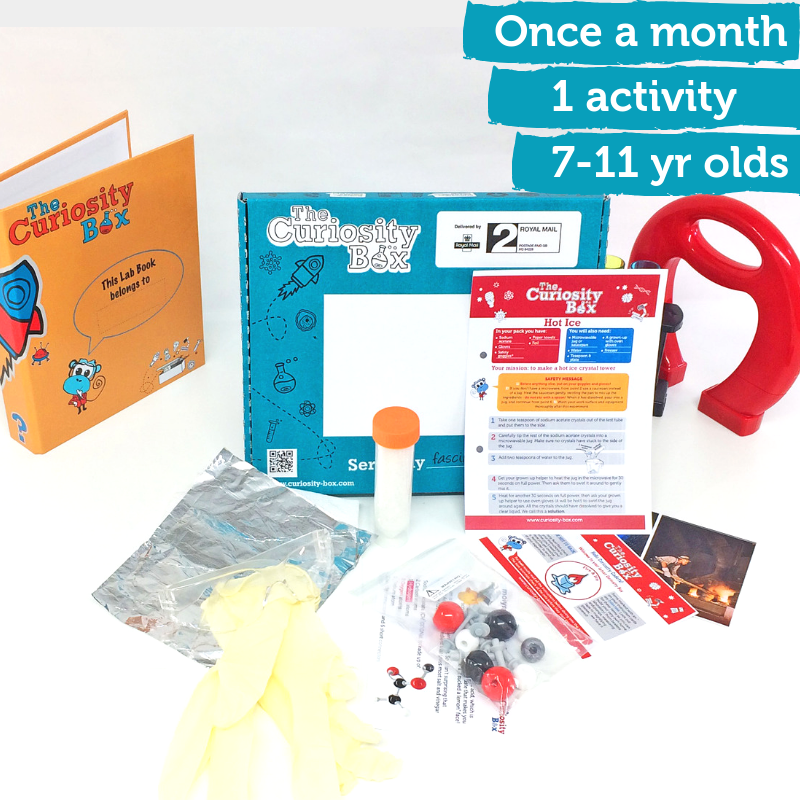 The new, supersized Nano Box = oodles of sciency fun with 2 awesome experiments for 7-11 yr olds, delivered each month! International postage applies. Pay as you go for £6.95 per month (inc. UK p&p) or choose one of our prepay options to get our Pico Box from as little as £6.45 per month. 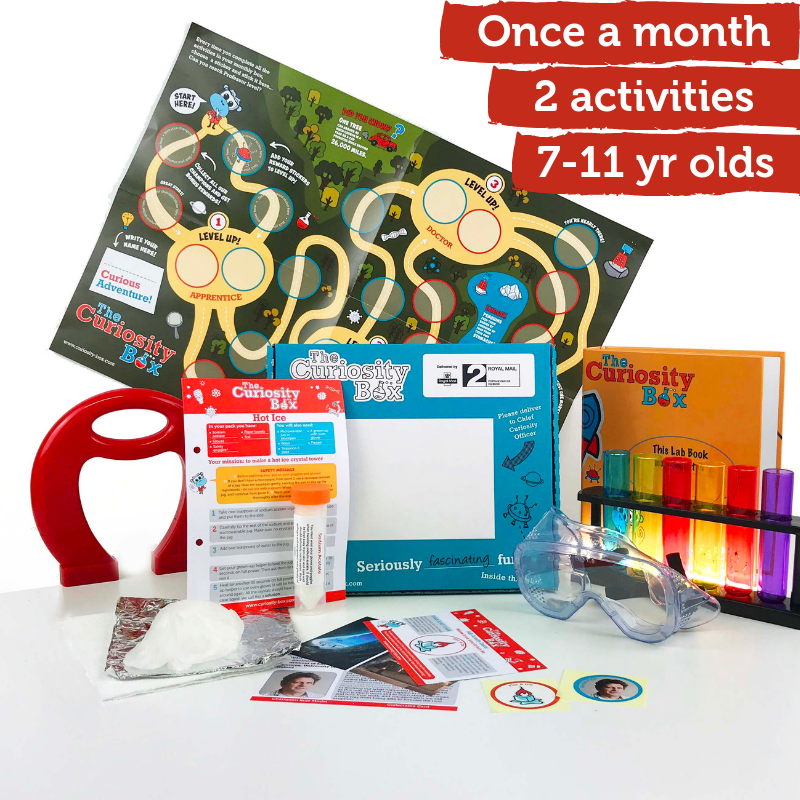 The Pico Box = 1 seriously fun activity, delivered monthly! Perfect for curious 7-11 year olds. International postage applies. 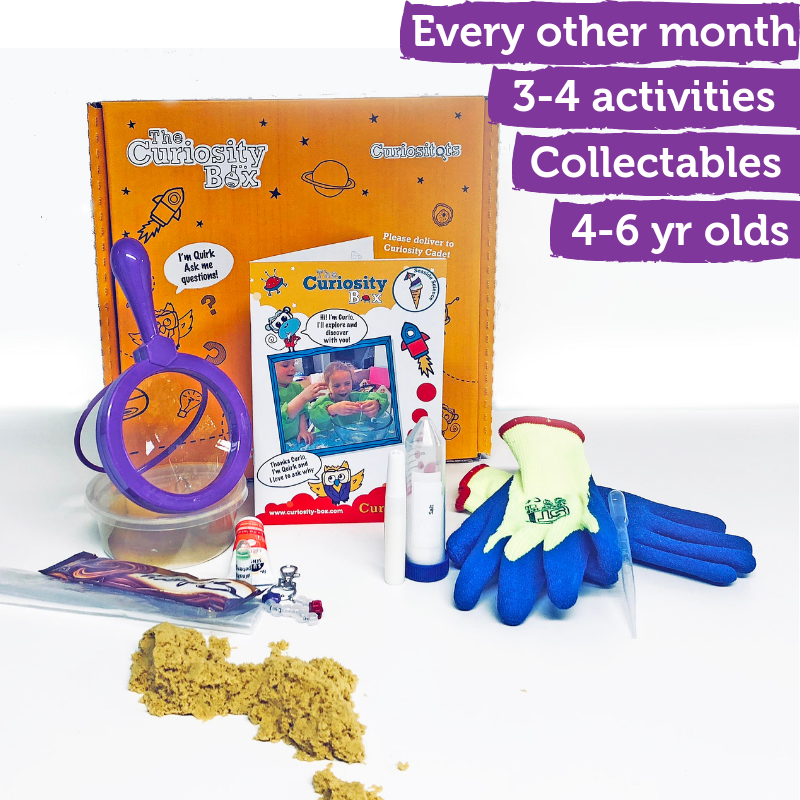 Full of super fun, hands-on sciency goodies for 4-6 year olds, our new Curiositots box is delivered every other month! Pay as you go for £19.95 per box or grab a great prepay deal to save £££'s. The best introduction to science for little ones. International postage applies.